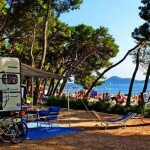 Camping Soline is located in Biograd near Zadar and camp won awards for quality in years 2008,2009,2010 and 2010 from the top 10 Croatian camps from the Croatian Camping Union. 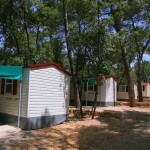 Camp is covering around 15 ha of attractive plots for accommodation of campers, camping trailer and tents. 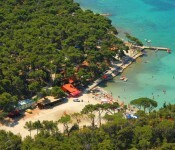 Camping Soline is categorized with 4 stars. 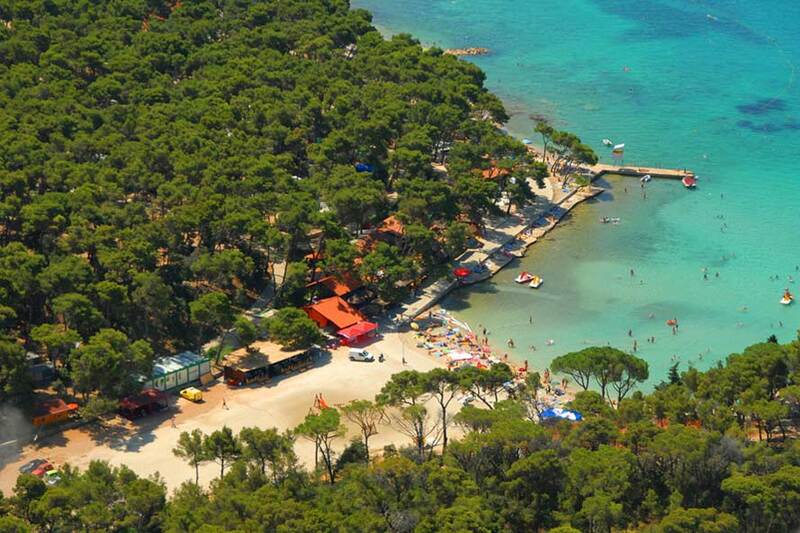 Inside of the camp there are a restaurant, a bar, internet coffee, market with fresh fruit, vegetables and fish, an exchange office, wine bar, walking and jogging trails. 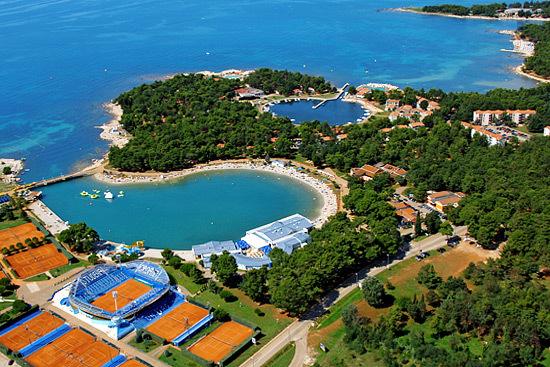 Close to camp there is sports centre, aquatic centre and tennis centre. 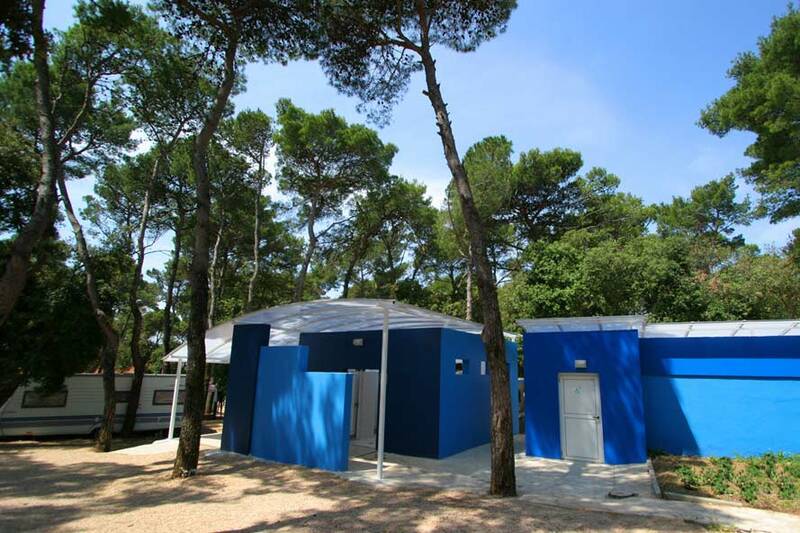 In camp there are lots of agencies with attractive offers of visiting one of National parks as NP Krka, NP Kornati and NP Paklenica, or daily city tours to Zadar or Šibenik. 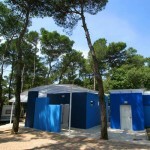 In camp there is 903 pitches. 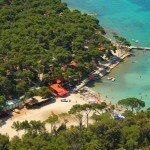 They are located in the shade of thick pinewood on attractive area of 15 ha that gradually descend towards the coast. 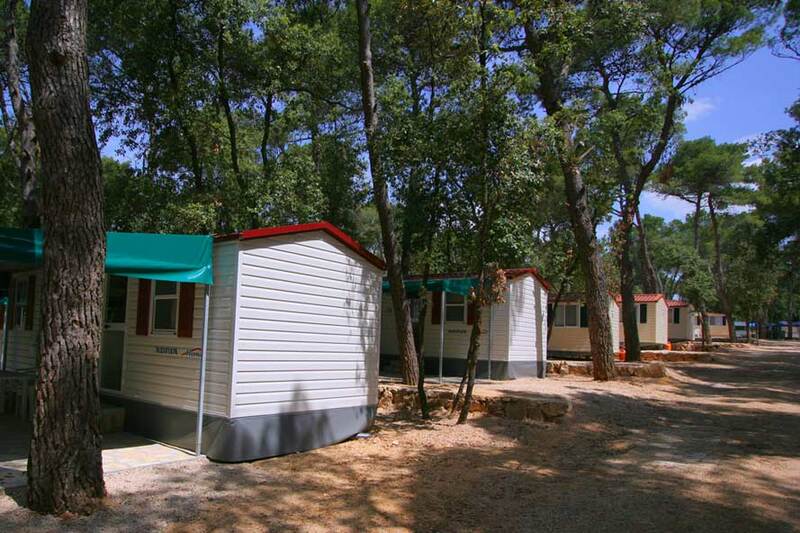 Camping Soline offers mobile homes of 32,00 m2 with capacity up to 6 persons. 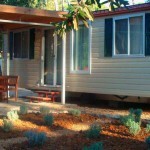 Each mobile home includes a kitchen, 2 bedrooms, a bathroom , a flat-screen TV and they are air conditioned. 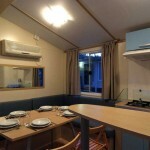 Wi-Fi is available for an extra charge. 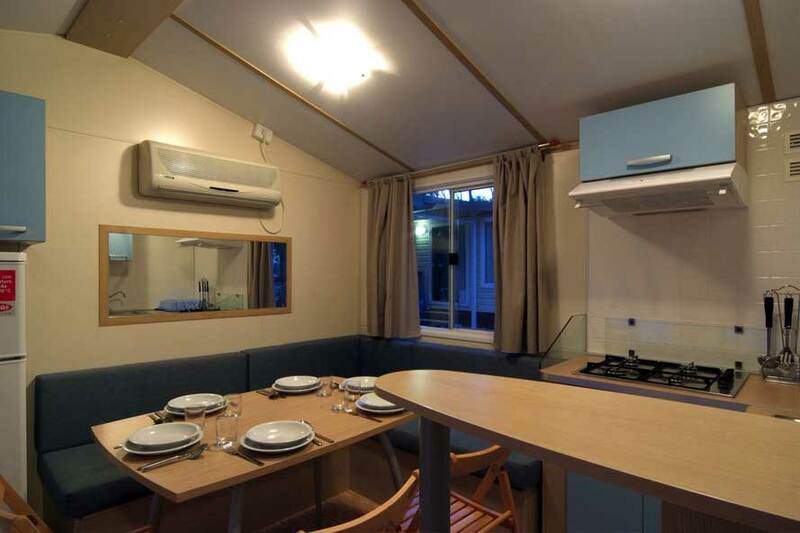 In front there is nice covered terrace of 12 m2. 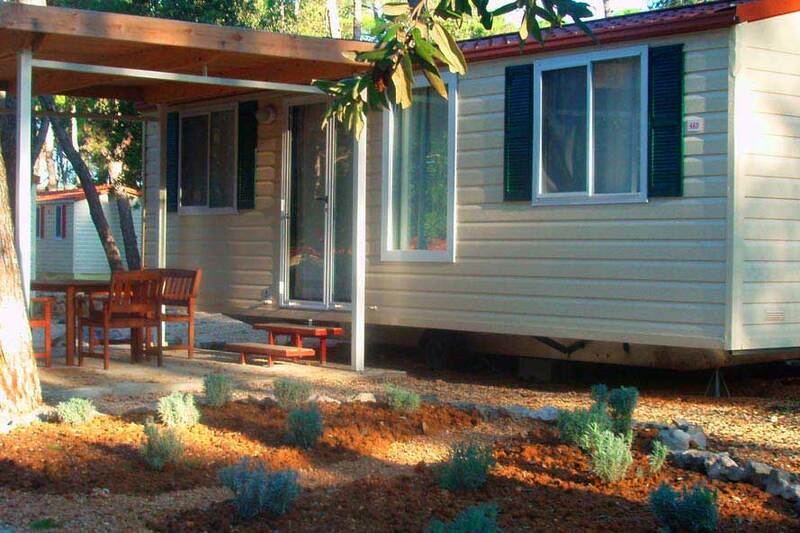 Mobile Homes are surrounded by shady pine trees.